Police put an end to a two-hour standoff with a suspected gun-wielding man in the parking lot of a Brewer motel Thursday night by using non-lethal impact ammunition to disarm the man and place him in custody, police said Friday morning. Authorities learned upon his arrest that the rifle-like gun the man was waving at himself was a replica of an AK-47, not a real firearm. Gary Green, 63, of Brewer has been charged with criminal threatening, terrorizing, and creating a police standoff, all misdemeanor charges. On Friday afternoon, Green pleaded not guilty to all three charges via teleconference before Judge John Lucy at the Penobscot Judicial Center in Bangor. He is being held at the county jail on $5,000 cash bail and will be ordered to undergo a psychiatric evaluation within 48 hours of being discharged. Just before 7 p.m. on Thursday night, multiple police agencies descended on the parking lot of Village Green Motel to form a perimeter around a man — later identified as Green — reportedly standing in the motel parking lot with what appeared to be a rifle, according to Brewer’s Chief Deputy Chris Martin and witnesses. Police shut down Wilson and State streets for more than two hours, as a crisis negotiator with Penobscot County Sheriff’s office worked to communicate with Green to defuse the situation, Martin said. Green reportedly told police that his rifle was a real firearm, and he refused commands to drop it, the chief deputy said. The man stood still for long periods of time, but occasionally waved the replica of the rifle at himself and put its barrel in his mouth, according to Friday court testimony from Assistant District Attorney Brian Fowler. Around 8:45 p.m., the deadlock came to an abrupt end. Rolling into the motel parking lot in an armored vehicle, Bangor Police Special Response Team emerged from the truck and approached Green, deploying less-lethal impact munition as officers tackled him onto the ground and placed him under arrest, Martin said. The less-lethal munition — a category of tactical impact weapons that has a lesser chance of fatally injuring someone — caused a loud popping noise and Green to drop the rifle, according to Martin and witnesses. 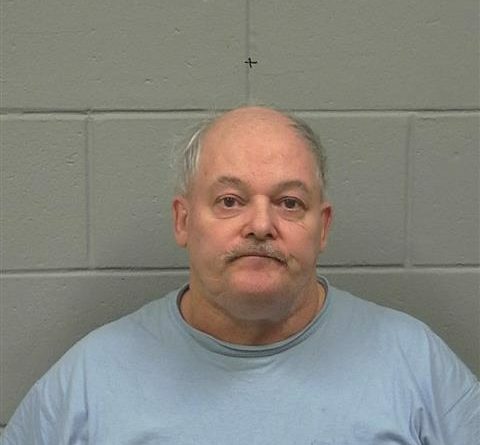 After he was placed under arrest, Green underwent a psychiatric evaluation at a local hospital before he was booked at Penobscot County Jail, the chief deputy said. That was also when police discovered that Green’s rifle was actually a replica of an AK-47 Kalashnikov, a Russian assault rifle, he said. Green initially was charged with criminal threatening for his conduct in the Village Green motel parking lot, and with terrorizing for the threats he made to kill police officers when he becomes free, Martin said. The district attorney’s office added the third charge relating to the standoff on Friday morning. In court on Friday afternoon, Green said he understood the charges against him, although he appeared dazed at times. His court-appointed lawyer told the court that Green had been staying at the motel following a disagreement with his old roommate, and had received case management services to help him with his basic needs. During the standoff Thursday night, local businesses were evacuated and placed on lockdown, police said. Brewer, Bangor and Holden Police Departments, as well as Penobscot County Sheriff’s Office responded, and had cleared the area by 9 p.m.